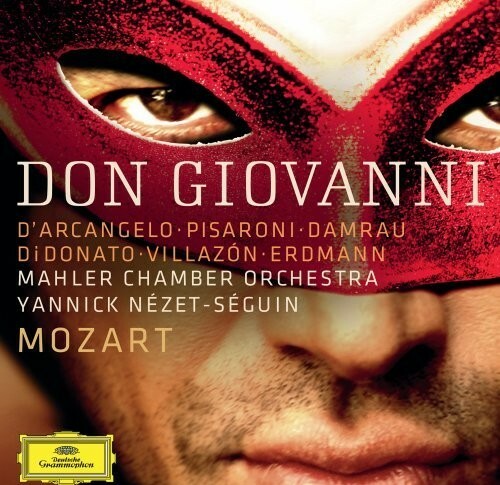 This Saturday, September 15, Deutsche Grammophon releases Don Giovanni internationally, featuring Mojca Erdmann as Zerlina. The album reached the #2 spot on the German Classical charts when it was pre-released earlier this summer. This new recording captures the sensational performances at last year’s Baden-Baden Summer Festival. Mojca is among a stellar ensemble that includes Ildebrando D’Arcangelo in the title role, Rolando Villazón (Don Ottavio), Diana Damrau (Donna Anna), Joyce DiDonato (Donna Elvira), Luca Pisaroni (Leporello), Konstantin Wolff (Masetto), Vitalij Kowaljow (Commendatore), and the Mahler Chamber Orchestra.